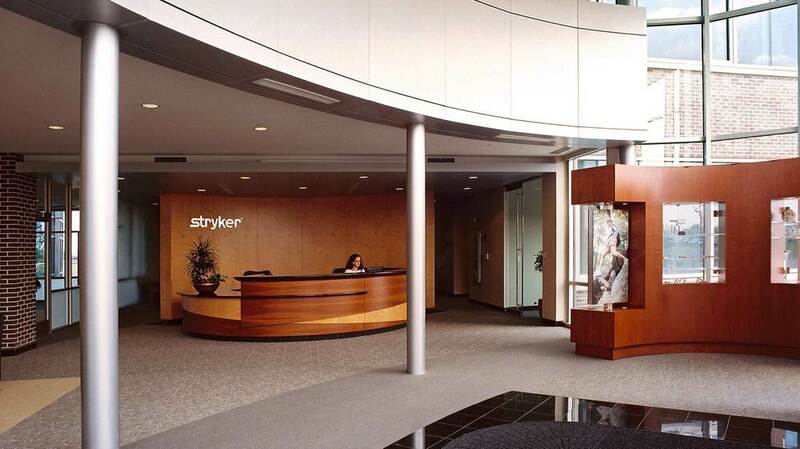 Stryker World HQ | AVB Inc.
A leader in the worldwide orthopedic market, Stryker has become one of the most preeminent medical product and services companies around the world. 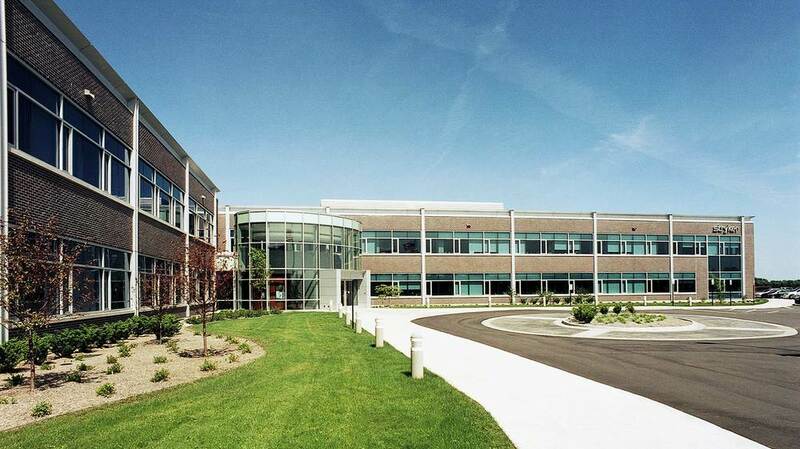 AVB worked closely with Stryker, the City of Kalamazoo, the City of Portage, the Michigan Department of Transportation, as well as the Kalamazoo/Battle Creek International Airport in order to develop and build the 80,000 square foot world headquarters. This building, shaped as a body’s joint as seen from the sky, was designed by World Trade Center architect, Yamasaki and was completed November 2006. 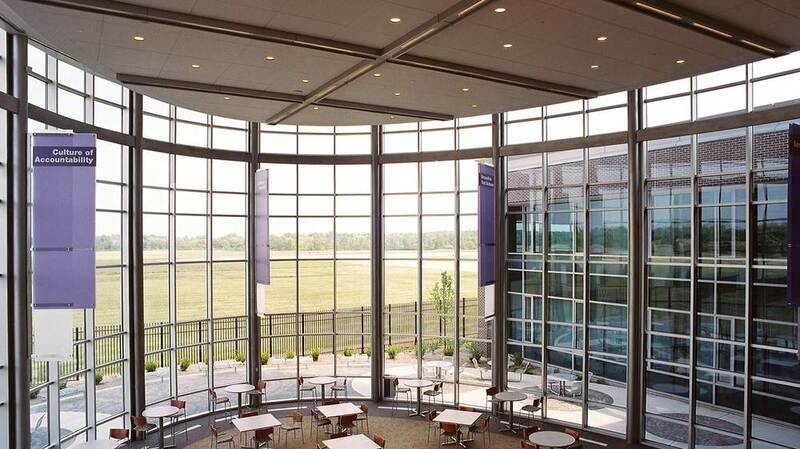 The building includes a volume amount of glass curtain wall, tech-savvy conference rooms, a large company presentation space, and building cafeteria.